Somerfield was a small to medium-sized supermarket chain that operated in the U.K. At some point, Kwik Save discount food store chain was owned by Somerfield. On 2nd March 2009, the Cooperative Group took over Somerfield in a deal of 1.57 billion pounds forming the fifth largest food retailer in the United Kingdom. In a rolling program of store conversions that ended in the summer of 2011, the name was dropped and replaced by Co-operative Food brand. The origin of Somerfield can be traced by to J H Mills, a Bristol-based grocery store that began its operation in 1875. In 1950, the company developed Gateway Foodmarkets, a self-service supermarket chain. The Linfood Holdings took over Gateway Foodmarkets in 1977. The brand Linfood Holdings was dropped in 1983 and replaced with Dee Corporation. Dee Corporation grew and expanded rapidly and by 1985, it had more than 1100 stores. Most of the company outlets were not only small-sized, but also high-street. Unfortunately, Dee Corporation encountered problems by 1987, mostly due to the challenge of integrating numerous individual businesses. Hence, that year was marked by some disposals. The company name was changed to Gateway Corporation in 1988. 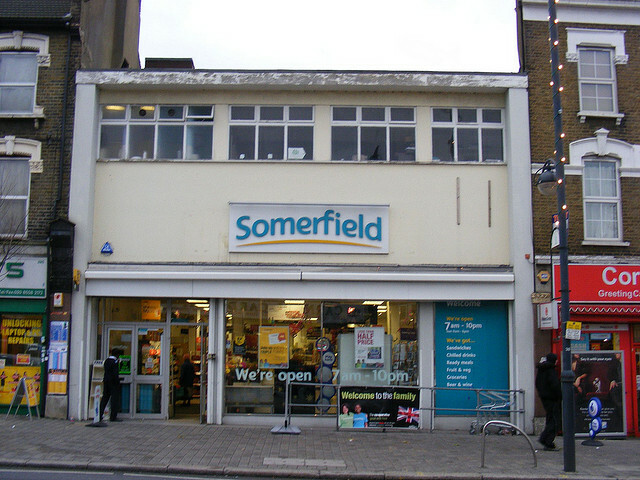 The company operations were rebranded as Somerfield in 1990 with the first store being opened in Somerset. The company took over Kwik Save in 1998 in a transaction worth 473 million pounds. Later in July 2008, the Co-operative Group acquired Somerfield for 1.57 billion pounds.